I've mentioned on many occasions my love of red lips and nails and it's origins may lie in my mum's shared of this lip and nail combo. 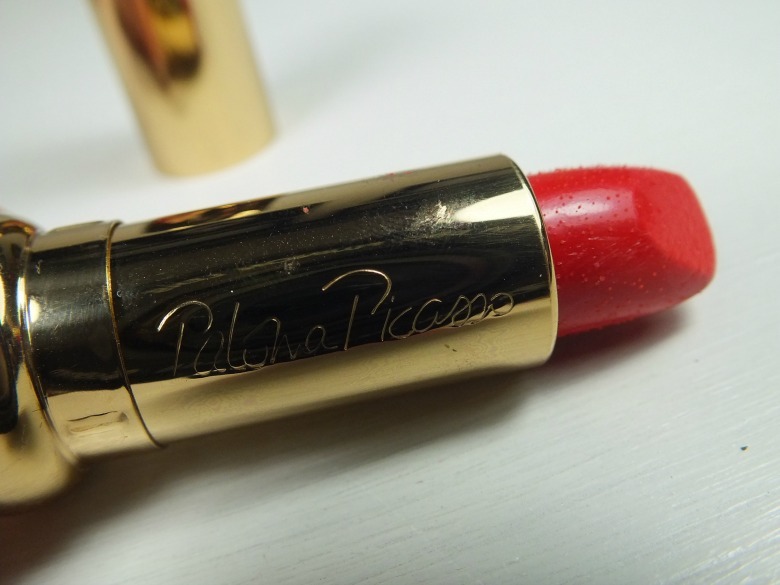 I can still remember the first 'proper' grown up lipstick I was brought from Paloma Picasso, the same as mum used to wear. It was quite likely Lisa Eldridge's pinterest boards featuring her vintage make up collection which made me ask my mum if she still had any of her Paloma Piccaso make up and she did and it was too beautiful not to photograph and share. 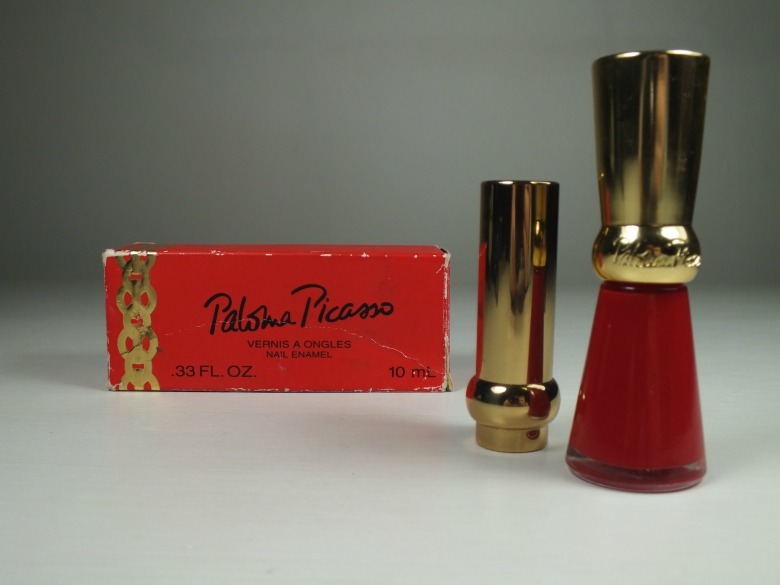 Paloma Piccaso is more than likely known as either the daughter of Pablo Picasso or designer at Tiffany & Co but for me it's her perfume and cosmetics line that was launched in the 80s but is sadly no longer available although the fragrance still lives on and is available on the high street. Red lipstick is Paloma's signature colour of choice, apparently worn to keep people away, and is a brilliant true blue toned red. I can even remember wearing it when I was at college - apparently they thought I was dark and goth when I walked in on my first day with my dark hair and bright red lips. Definitely a brave choice for the first day of meeting people! This range exudes 80's glamour and I can just imagine shoulder pad wearing city types wearing this can't you? 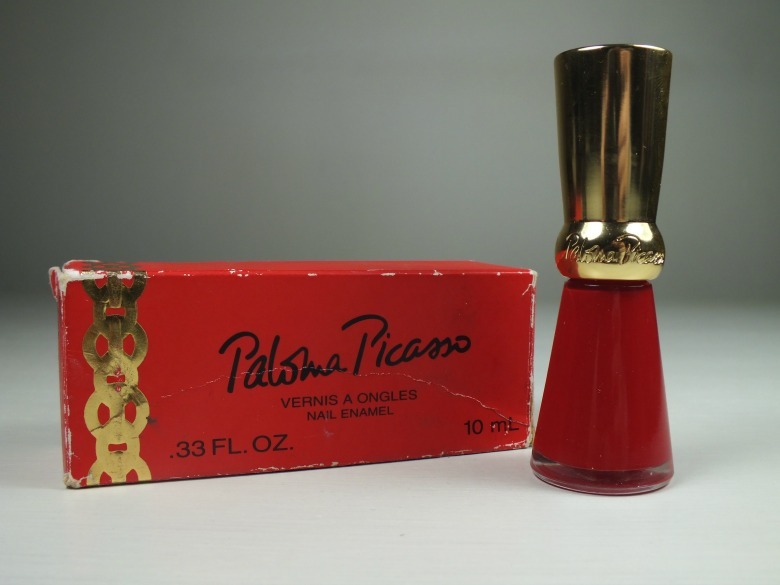 Have you any vintage make up favourites stashed away you can share? I do like pinks more than I used to but I can't resist going for red! Oh how lovely, thanks for sharing. My early make-up memories involve my Mum's large Estee Lauder make-up box. So retro. 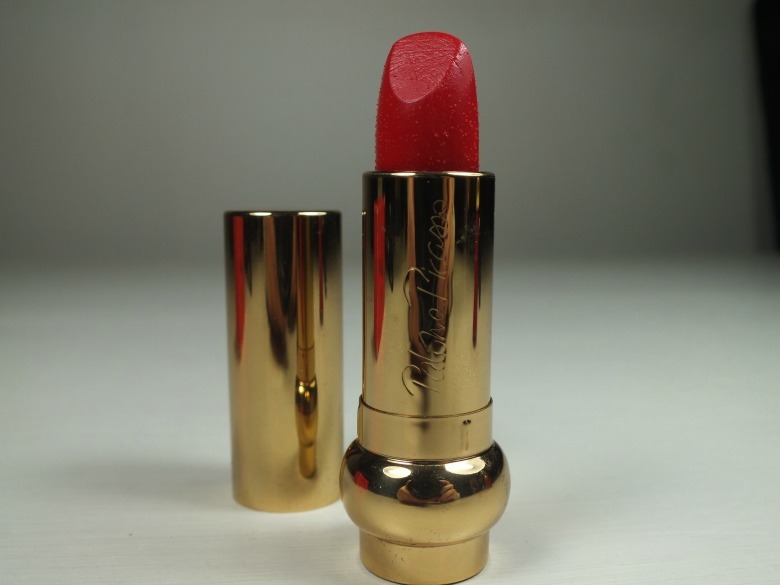 It is the perfect red and so long lasting! 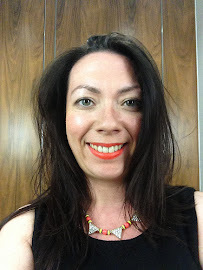 I adore vintage cosmetics, so the posts Lisa Eldridge did on her collection was like a dream come true for me! Thanks for sharing the history of this line and some photos! I really enjoyed reading this! !